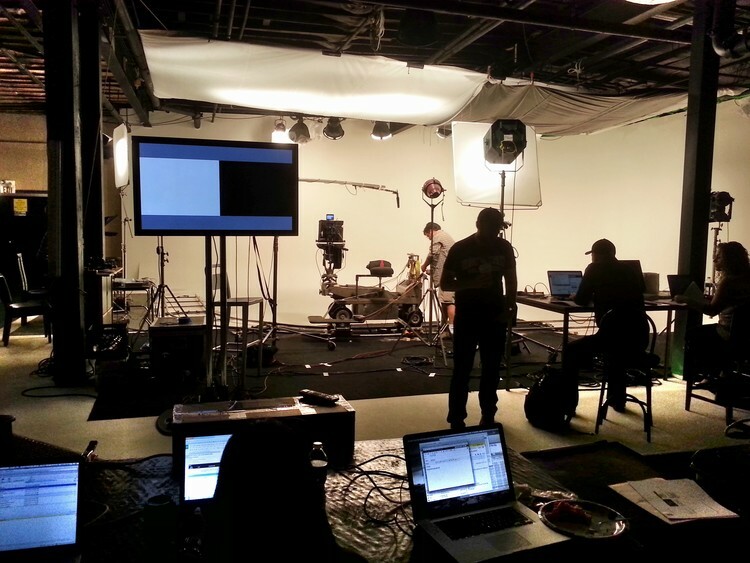 Studio rental facility for film & video production. Just under “soundstage” quality suitable for most sound recording. 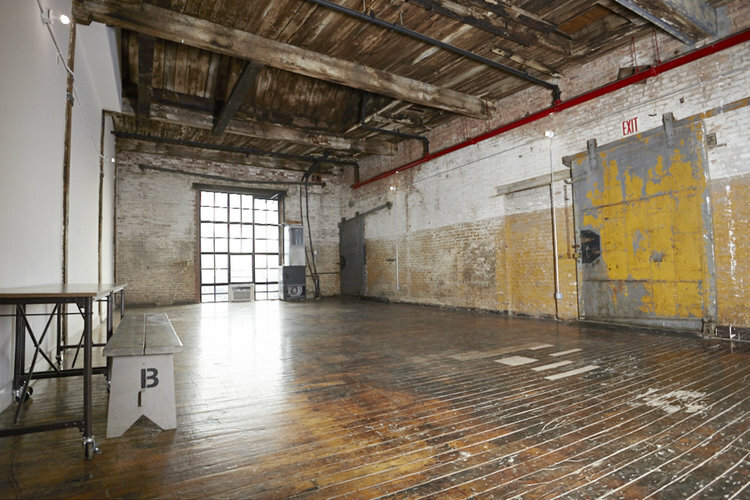 The large studio is available for rent and at 3,000 square feet, it is ideal for film & video production studio work. The three-sided cyc cove at the north end is 24 ft. deep and 33 ft. wide. Overhead is a metal piping grid for lights that covers the entire cove and extends out into the main studio area. 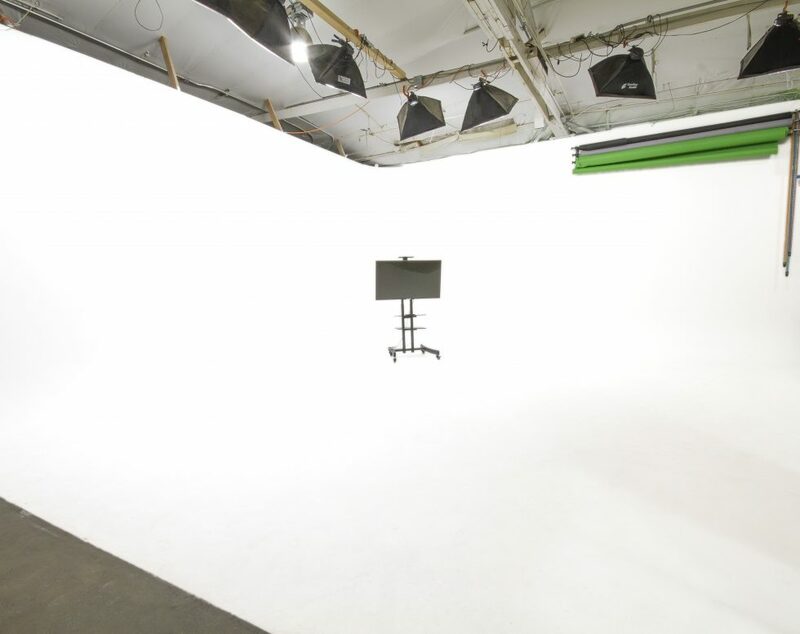 Studio ceiling height is almost 18 ft. and the grid is suspended overhead at 15 ft. Vehicles up to 20 feet long can be driven into the studio through a 14 ft. bay door. The loading dock is covered, well lit, and at grade level. Power hook-up is easy via two 200 amp boxes located at both sides of the cyc cove: 208 single phase with cam-lok outs. 12.5 tons of air conditioning cool the studio, and soundproofing is just under “sound stage” quality. Bob Dylan recorded an iPod commercial here!